Cavendish Nuclear has signed two further framework deals totalling £10 million to support decommissioning work at Dounreay. The agreements, covering safety case and peer review services, come less than a month after the Berkshire-based firm secured design and engineering work valued at £12m-£15m at the former fast reactor research and development site in Caithness. 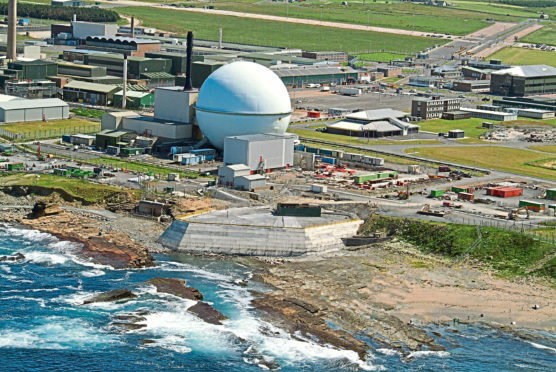 The framework deals were awarded by Dounreay Site Restoration (DSRL), which is responsible for the on-going clean-up and demolition of the facility. Like the earlier awards, the latest agreements are for a period of up to four years. The company said they were for the provision of “a range of safety case assessment and production services and independent peer review and assessment services”. Cavendish Nuclear Dounreay business director Natalie Nisbet said: “Securing a place on these two frameworks, in addition to the design and engineering framework, reinforces the breadth of Cavendish Nuclear’s decommissioning capability. The announcement was also welcomed by Cavendish’s Thurso-based framework manager, Shona Kirk. Built in the 1950s, Dounreay is regarded as the most complex nuclear site closure project in Europe.